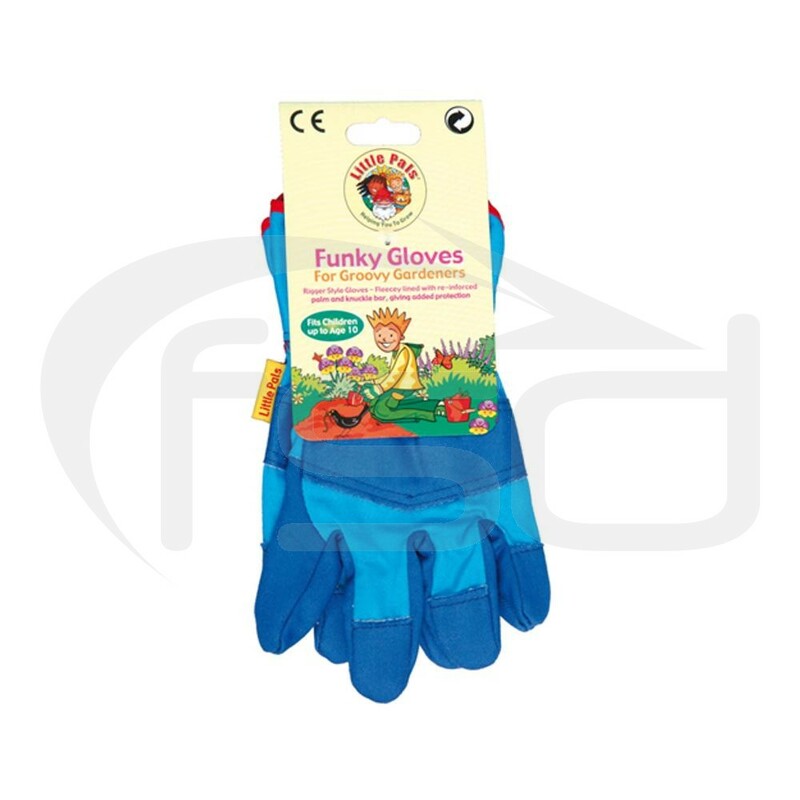 Tough cotton gloves in blue cotton with a wide cuff and extra fabric over the knuckles to help protect little hands. Just the ticket for helping to keep hands clean and protected in the garden. One size fits up to age 10 years. The gloves must be allowed to dry naturally. Avoid placing them directly on radiators. Dirt should be brushed off when dry and more stubborn stains can be removed by sponging lightly with clean water.